Samsung UE42F5700 review - here is another one of the latest Samsung LED TVs and this 42-inch Full HD LED TV is definitely worth taking a look. 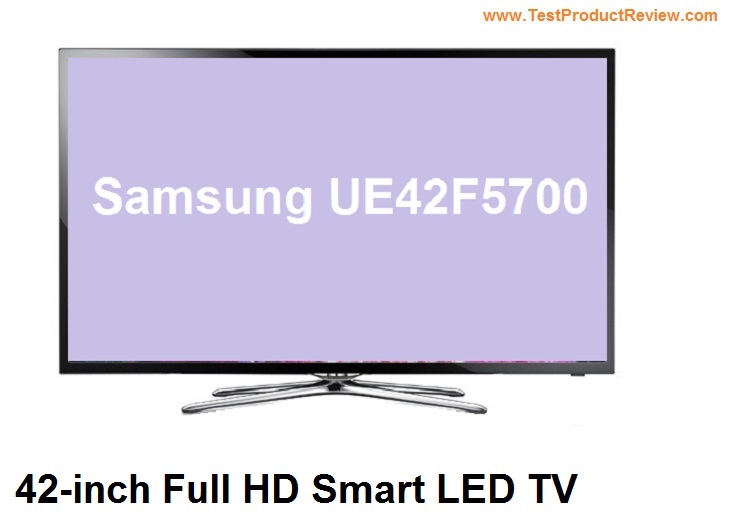 Though the UE42F5700 offers plenty of interesting and useful features in is not part of Samsung's high-end TVs. This more of budget friendly 42-inch TV with exceptional picture quality and Smart TV functions. Samsung UE42F5700 is a nice and stylish looking TV with very good build quality and is part of Samsung's One Design series. It is made of hard plastics and some metal finish on the stand. The frame is quite thin and doesn't ruin the compact dimensions of the TV - 97.18 x 57.69 x 4.94 cm. The panel itself is quite thin and will fit in most tight spaces. Samsung UE42F5700 offers very good Full HD 1080p picture quality and watching movies in 1920 x 1080 resolution is a real pleasure. Samsung is using few of their clever technologies for improving the overall quality of the images - HyperReal Engine, Wide Color Enhancer Plus, 100 Clear Motion Rate are all available in the UE42F5700. Samsung UE42F5700 is a Smart TV 2.0 with Smart Interaction 2.0 apps. I myself have tried plenty of different Smart TV interfaces from LG, Sony and many other brands but Samsung offers probably the most intuitive user interface for their Smart TV functions. Connecting to the Internet apps is quite easy thanks to the built-in WiFi adapter and WiFi Direct function. You can rely on plenty of different connection options in the Samsung UE42F5700 TV. Ports and interfaces like 3x HDMI, LAN, 2x USB (with media player and USB HID), SCART, component and composite, CI, IR out and headphone jack are all available. There is also a very useful function called AllShare which allows you to share content or get mirror view of a screen. Samsung UE42F5700 is offered for around 650 Euro and it is a fair price considering the features and specs this TV has. Currently Samsung also offers few other pretty good TVs of this size like the Samsung UE42F5000 which is a bit cheaper because it lacks Smart TV functions or the smaller 40-inch Samsung UE40F7000.